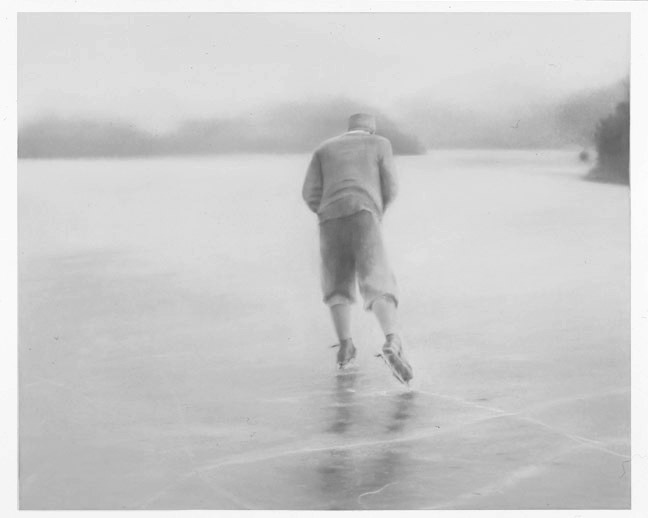 In her 2004 exhibition, We are so Lightly Here, Gale Antokal delivered a vision of displacement with images of milk pouring down a flight of stairs, groups of people walking with baggage in hand, monumental mountains shrouded in snow, sledders disappearing down a hill, billowing smoke, footprints in snow, a lone skater gliding across a field of ice, and birds in chaotic flight. Place 3 is held in a private collection. Gale Antokal is a Professor and Program Coordinator of Pictorial Art in the Department of Art and Art History at San Jose State University, San Jose, California. She has held several visiting artist positions and teaching positions, which includes the San Francisco Art Institute, the Lehrhaus Institute, and the American College in Jerusalem. She received a Visual Arts Fellowship from the National Endowment for the Arts and the Dean’s Award for Distinguished Artistic Achievement, San Jose State University.